Magenta reconnects you with your divine guidance, your creation purpose and your divine plan on all levels. It helps you to recognise the next steps on your path and to act upon them granting liberation and freeing you from the worlds of illusion. Magenta supports you in all phases of transition and transformation by reminding you of your own immortal light; and it opens gates so that you may enter new spaces. This essence connects you with the original shamanic wisdom in pure form. It supports everyone who travels in other realms or communicates with spirits, to do so with clarity, without getting lost and in alignment with divine law. 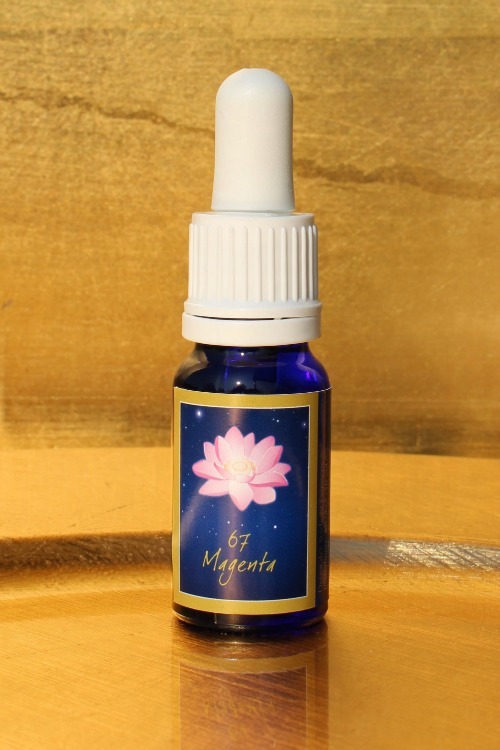 Magenta brings you into contact with the leadership levels of light so that the abundance of light in the new times becomes tangible and can be expressed through you in all areas of your life. Magenta supports a life of abundance in alignment with divine natural law; and through this essence new light structures are formed and new networks are created. This essence also enables access to star knowledge; and supports you as you travel through dimensional gates. Place one drop each into the four directions (to the front, the right side, behind you, to the left side) with 50 cm distance around you on the floor. Place three drops into your hands, rub them together, stretch your arms high, and invite the energy. Then lead your hands to your heart and place both hands onto your heart. 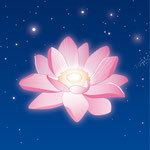 Place a drop each onto your lotus chakra, heart chakra and both knees. Meditate for 5-10 minutes in this energy field.